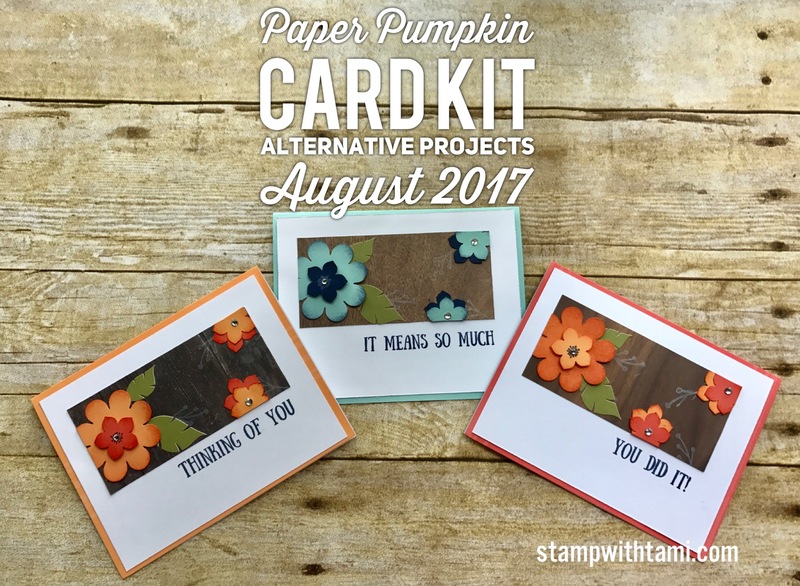 On today’s live online class, I’ll be making this set of gorgeous cards using the August “Giftable Greetings” Paper Pumpkin Card Kit. 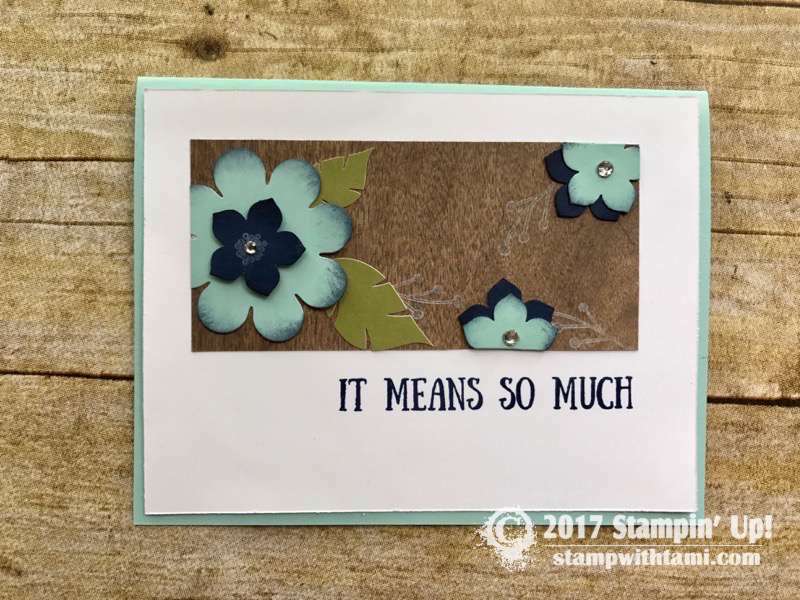 I used the Wood Textures background paper for a rustic feel to the cards. Sadly, when I was all done I realized this smaller flower punch is retired, what a dope I am. I thought I’d checked it, I don’t like to use products you can’t get in my classes so I apologize. The Blossom Builder Punch Makes a really nice substitution. In fact, I might like it even better. 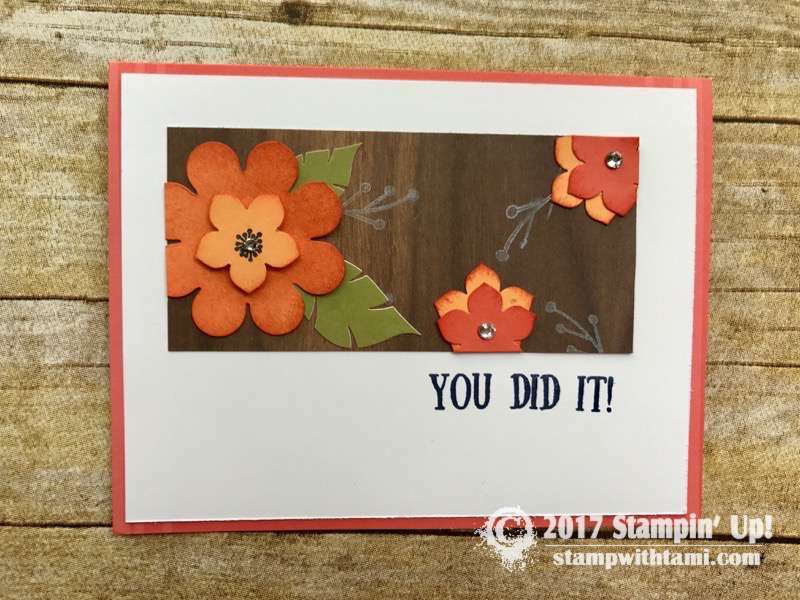 Here’s the same card done with the Blossom Builder Punch. Our hearts go out to all affected by Hurricane Harvey and Irma. 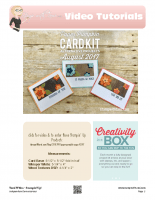 Stampin Up is partnering with the Red Cross and matching our donations. Click here for details. Live on Facebook today at noon EST. I will have Paper Pumpkin & Scrap Bin Prize Patrol (both live and “after live”). You can visit my Calendar of Events for my upcoming live schedule. 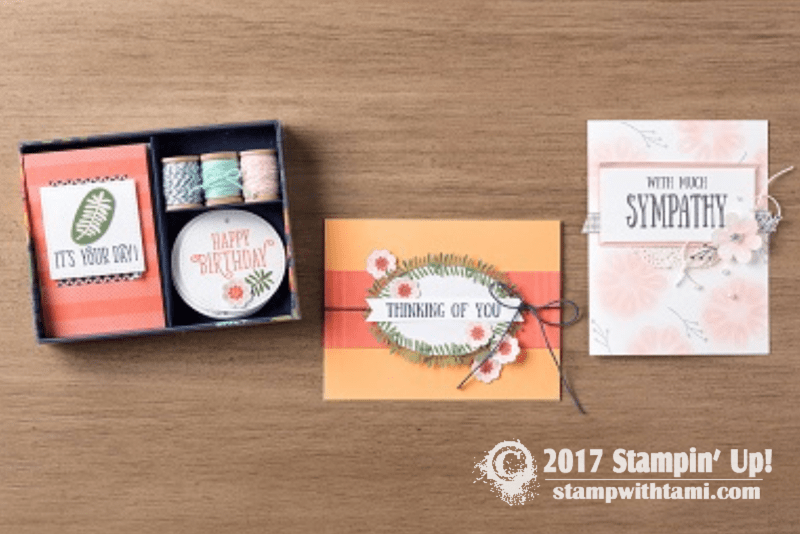 Official Kit Instructions from Stampin Up. These are while supplies last, and as of this morning were still avaialble. Click here to order. This is a video comment entry giveaway. To enter, simply click over to the video on Facebook or YouTube , and leave a comment. No purchase necessary. 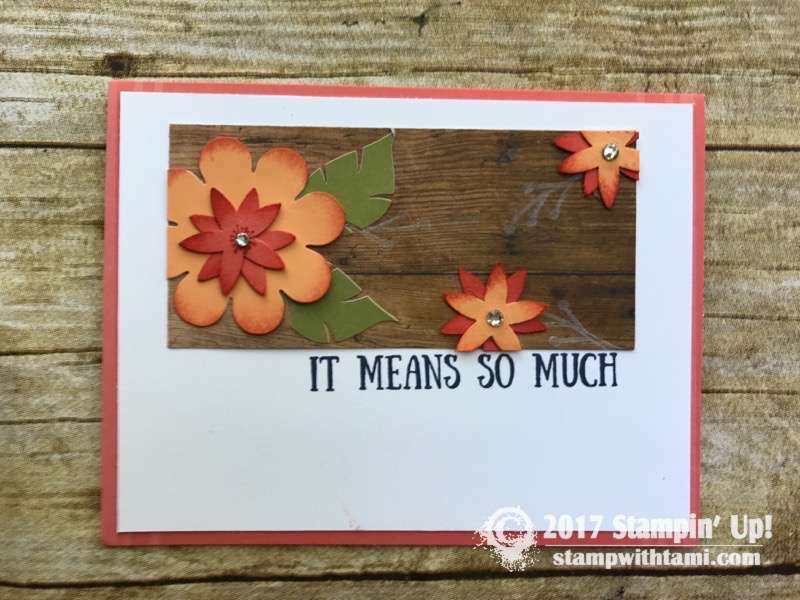 What an adorable card for so many different occasions and so bright and cheery.You do an awesome job creating cards so glad I subscribed to your site.The paper pumpkin kit is great to help create a nice but rather quick card.Keep up your great work inspiring usPUMPKINLICIOUS! 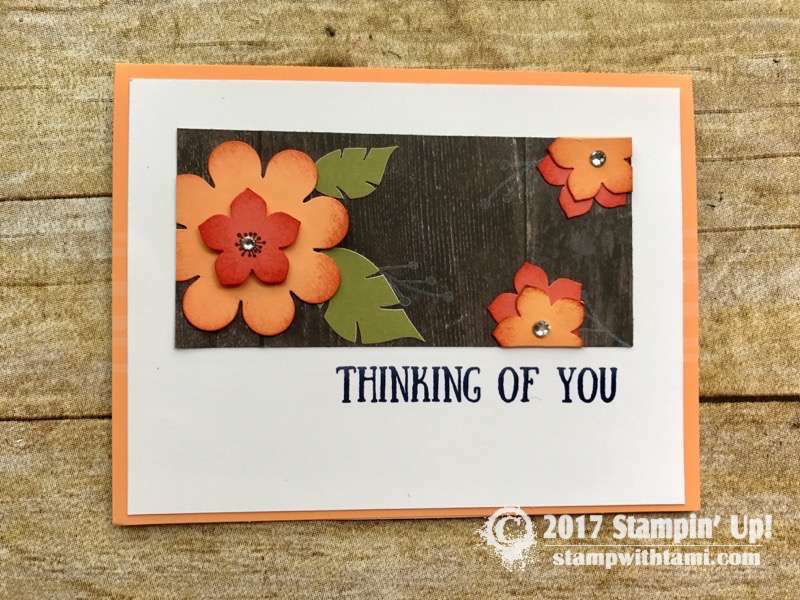 You always make such lovely cards. I wish I had your talent..
Sweet sweet cards and never any mistakes as are fixable somehow. Thanks for a great video as usual. Shared. Wonderful alternatives for an already great kit.